Bauer Prodigy Junior/Youth Roller Hockey Skate | Sports Etc. 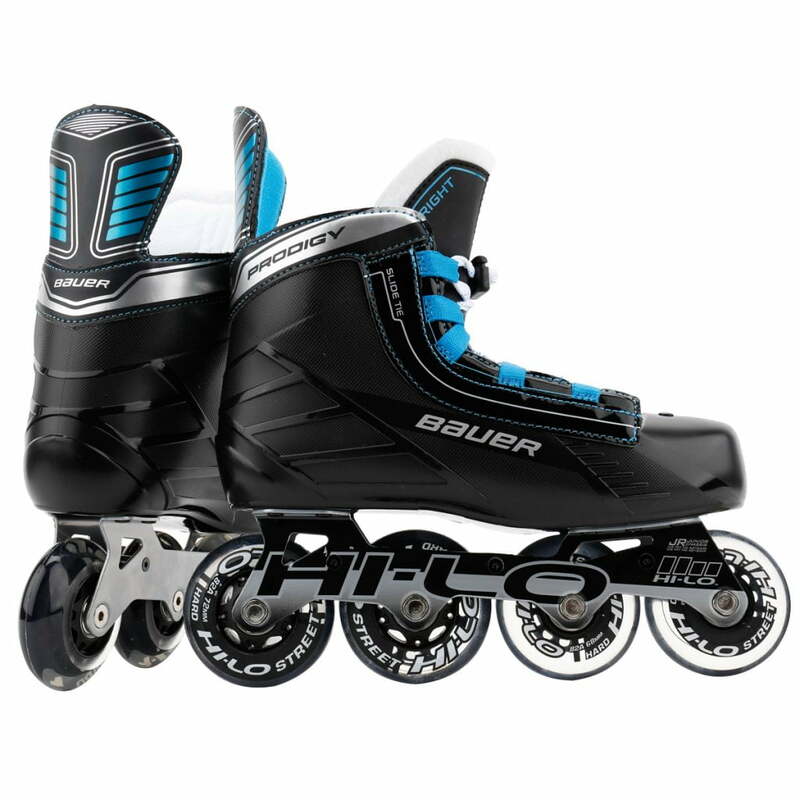 The Bauer Prodigy roller hockey skate is a great way to get your young skater ready for the off-ice season. Simplified lacing system along with unique dual-size footbed to maximize use. Uses Bauer Hi/Lo technology for optimum power and maneuverability. Sports Etc Performance To Value Rating– 8 out of 10. A good choice to introduce your young skater to off-ice training or roller hockey.